We’re sure many of you are already familiar with Hakoom, the insane Trophy hunter who’s earned more Platinum gongs than you’ve had hot dinners. Hakam Karim now holds the Guinness World record for the most silver-blue gongs in the world – a whopping 1,691. This was verified on 19th September, and he’s added 28 to his total since then. Some other stats on Hakoom: he earns an average of 18.71 Trophies per day; he’s fully completed roughly 91 per cent of the 2,524 games that he’s played; he earned an eye-watering 1,154 Trophies in September 2018 alone; his overall total Trophy tally is 70,198 and he’s at Level 246. According to PSN Profiles, his most difficult Platinum is Fight Night Round 4, which was earned by 0.1 per cent of players. I'll check my stats later today and post them here! I wondered if this was the guy who tried to push in front of me in a Sony queue at EGX because he 'clearly had more platinum trophies than me' but alas no, it was not. Gonna be honest here, I’ve never heard of the guy, but it’s very impressive the number of platinum trophies he’s racked up. "He's got more Trophies than you"
But I have more of a life than him, so I win. He must spend a fortune on controllers. He made it sound in the interview like he only played a few hours a day, but I just don't see how that's possible the stats these guys are putting up. There is a game call "Outside" where anything can happen at anytime. Fully immersive gameplay and in full 3D! Maybe he should give that a go. Independently wealthy or Jeffrey Lebowski...I can’t quite decide!! Doesnt he have a team of people collecting trophies for him? @Rob_230 I've heard this before but I'm not sure whether it's true or not. @Tsurii @jacobia Nope - true story. I'll be honest and say he either had some kind of emotional problem or was very high on something. His evidence was that he had plat'd Spiderman in 2 days. I wanted to say well, that doesn't say much for your social life but did the British thing and just smiled awkwardly while not moving an inch. Man, what a legend. I know trophies don't really mean much and they're not even real life trophies that exist in the physical realm, but it's still pretty rad. Level 246. I'm like level 30. And my 72 platinums is looking massively inadequate. Might as well give up gaming and take up darts or something. This is type person who fuels the garbage that gets put on store because “easy trophies” sell. When gaming becomes a chore . Someone has a lot more free time then me. Hmmm is this his job? @Rudy_Manchego I mean, that’s not even the most impressive thing he could have said. I got the plat in Spider-man in 7 days, and I only have like 10 plats. The PS3, PS VITA and PS4 have a lot of great and good games combined but nowhere near 1,691. How many lousy games did this guy bought and played just for the sake of trophies? Maybe now he can get a job like everyone else has to. Not just stay at home gaming. Don't tell me that this guy enjoy his games. i don't understand this award, there are players with far more platinums than he has with far more rarity trophies to boot and they didn't get anything, on top of that he doesn't play on the psn account by himself he plays with other people too, i'm surprised that the guiness world records didn't question it, they are usually very strict when it comes to world records. Does anyone know anything about this guy's background? I'm not being funny, but I don't see how someone can spend that much time gaming if they work, and if they don't work, I don't see how they can afford all those games. Unless he was born into money or earned a fortune relatively early in life. I'm not making any judgements, I'm just curious. @huyi - I seem to remember reading something about him a while ago which claimed he did play all the games himself. There was another account - duck360 I think it was - which was close to him, but proven to be the product of multiple players. @Paranoimia well if it's true which i doubt any human on this planet can play that much and do normal everyday things on top of that then he's not human and i don't believe him when he says he has a job especially with so much dedication to his trophies. you think and connect the dots and you see if any human being can do such a feat and have a normal everyday life, this guy has a kid too, not sure how he managed to look after it. @get2sammyb why thanks, yours is impressive too. @ztpayne7 I know, even then it was well known that the Spiderman plat wasn't the hardest out there. I have like 17 plats but mainly on games that take very little effort. I’ve heard of this being done professionally by an Xbox gamer. Does he do the same? I also don’t know how it’s possible without being a full-time job with overtime. I’m a level 14 with two plats lol. I feel so humbled by all you now. 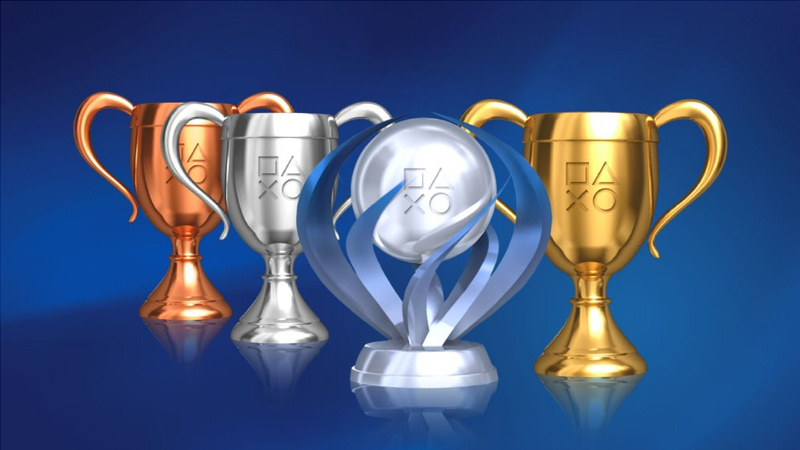 If course, I also don’t trophy hunt and didn’t get those to plats on purpose. @huyi How do you check those stats? The only thing im impressed with is the fact that I have a life after previously thinking I didant. I don't get why people have to be so dismissive of someone else's achievements saying he "needs to get a life" maybe it's a bit of jealously cos they don't game as much as they want. @adf86 Exactly bro. If I could play games all day I would. This is a Playstation site not Gardeners world. Outside is overrated. My car doesnt collect boost and fly, I cant walk up to thugs and beat them up and I especially cant go into my neighbours house and check their drawers to add to my inventory. Good on him. @JoeBlogs psn profiles and trophy leaders mainly. Guiness is a sad buisness, unless we're talking beer. Then it's all buisness. i have ~5520 trophies, level 25. i earned 0 trophies in september. (*) doesn't include games pre-trophies.